Both sentences have been said between Derrick and I this week and, as I sit down to write this post, I can’t decide which one is more unbelievable. Since leaving last Sunday, we’ve already visited three different states, slept in five different beds, and driven over 1,200 miles. To realize we’ve done all that in one week is mind-boggling. Yet, when I start to think about the days leading up to our departure, it suddenly seems impossible for a week to already have passed. One of our biggest goals for this new lifestyle is to travel slowly. We want to see and do as much as we can, but we also want to enjoy every new place that we get to visit. We only gave ourselves 3-days to get from Boulder, CO to Concord, CA (our first house-sit location) which left us with very little time to explore the destinations at which we stopped along the way. However, we were lucky enough to stay with friends at both destinations and were shown the local lifestyle on a tourist timeline thanks to our amazing hosts! I’m so glad we spent time in Park City this winter because we had less than 12 hours to explore when we stopped there on the first night of our road trip. Seeing a familiar face when we arrived alleviated the mixed feelings of excitement, anticipation, and sadness that we felt after leaving our life in Colorado. My college roommate Alex has been enjoying the laid-back Park City lifestyle for over 5 years, and we’re so thankful she was willing to host us for our first quick pit stop out west. Alex is a mom to three adorable bulldogs so we spent the first few hours letting them release some energy at the Jordanelle Reservoir outside of Park City. This gorgeous reservoir overlooks the Deer Valley ski resort and can be explored via trail, kayak, SUP, or boat. 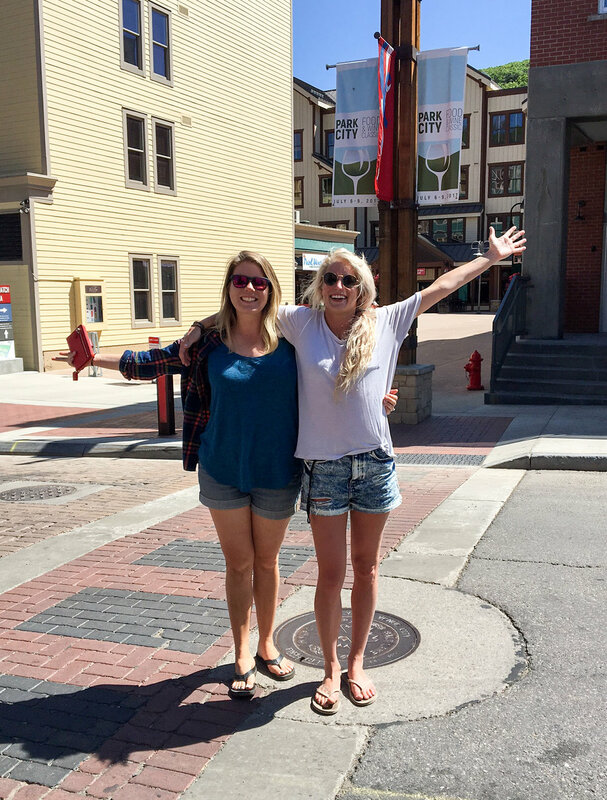 If we had more time in Park City, we would’ve loved to spend it there! After hiking around the reservoir, our exhaustion took over quickly and we had to call it early that night; thankful to have a guest bedroom to enjoy in her beautiful Park City home. Our next stop was Lake Tahoe and we knew we had to hit the road early the next morning if we wanted to arrive with enough daylight. This timeline allowed for a quick breakfast at Wasatch Bagels (10/10 would recommend) with a short walk around downtown Park City before getting back on the road. I know, I know, we moved way too fast. Hopefully, we can make it back again soon. You’re a rockstar, Alex, thanks for showing us a great time! We arrived in Tahoe just as the sun was setting and rushed to find a dispersed campsite outside of town. 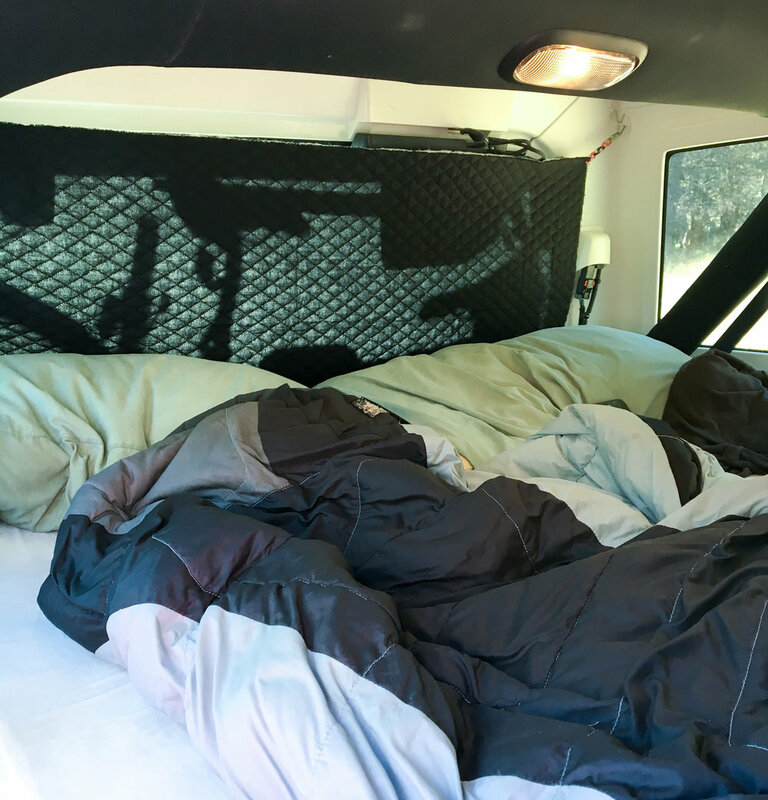 We were excited to give the sleeping platform in the Jeep another try and enjoy our first night of camping on the road. We found a great spot up in Blackwood Canyon outside of Tahoe City. The campground is considered “dispersed” as it has limited amenities, but it did offer picnic tables, fire pits, bear boxes, and a vault toilet. The best part? It was free. As travelers on a tight budget, we were sold! For anyone looking for free (more adventurous) accommodation in the often-expensive Tahoe area, Blackwood Canyon is a great option. However, there are only six designated spots so be sure to arrive early or during the week, if possible. 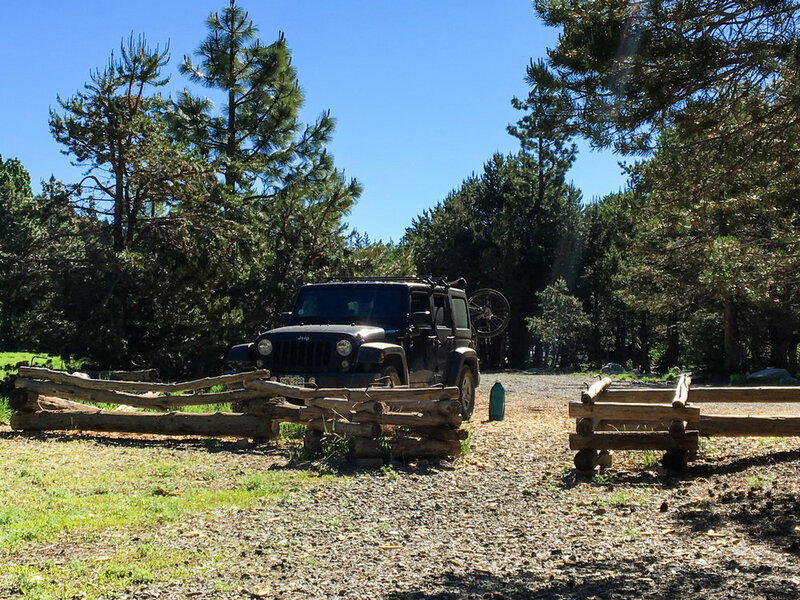 After a restful night in Eddy (our Jeep Wrangler), we woke up to quiet woods and beautifully sunny weather for our first full day in Tahoe. Apparently, beautiful weather comes standard in Tahoe, yet another perk of living on this amazing lake. For our second night, we planned to stay with Pete and Kay, our friends from high school who have been living the Tahoe lifestyle for six years. After packing up the campsite, we met Kay at the adorable West Shore Market and squeezed in some time for emails before setting out to explore. Kay had us feeling like locals almost immediately when we joined her and a few of her friends for a hike up “Spliff Cliff.” Apparently, there is another name for this hidden gem, but no one knew exactly what it was. Even the trailhead is off the beaten path, and I would have no idea how to take someone there if I tried. I think this was intentional. When we got to the top, we immediately understood why the locals would want to keep it hidden. With 360 degree views of Lake Tahoe and Blackwood Canyon, it was the type of spot that would easily be overwhelmed by crowds. Luckily, there are so many beautiful spots to enjoy the lake that I don’t feel too bad not sharing more here. 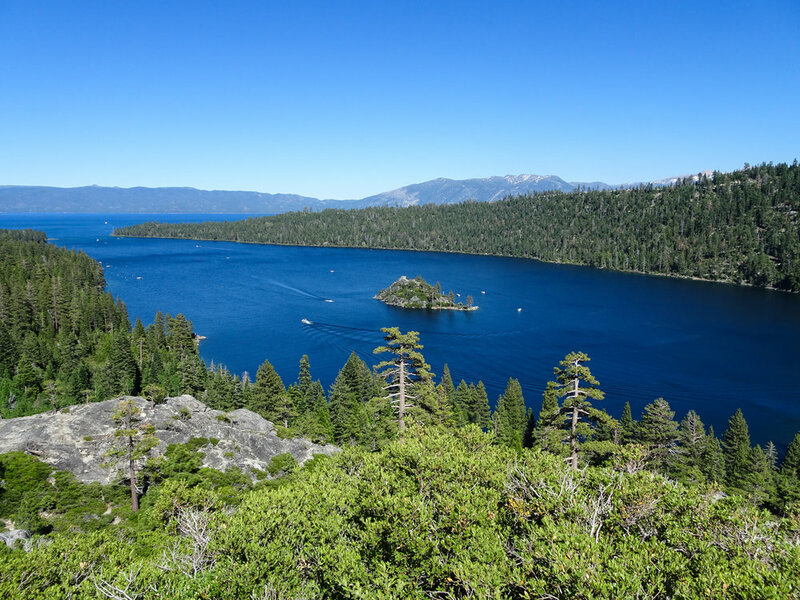 For quick access to amazing views, we recommend Emerald Bay and the 5-minute hike up Eagle Rock. 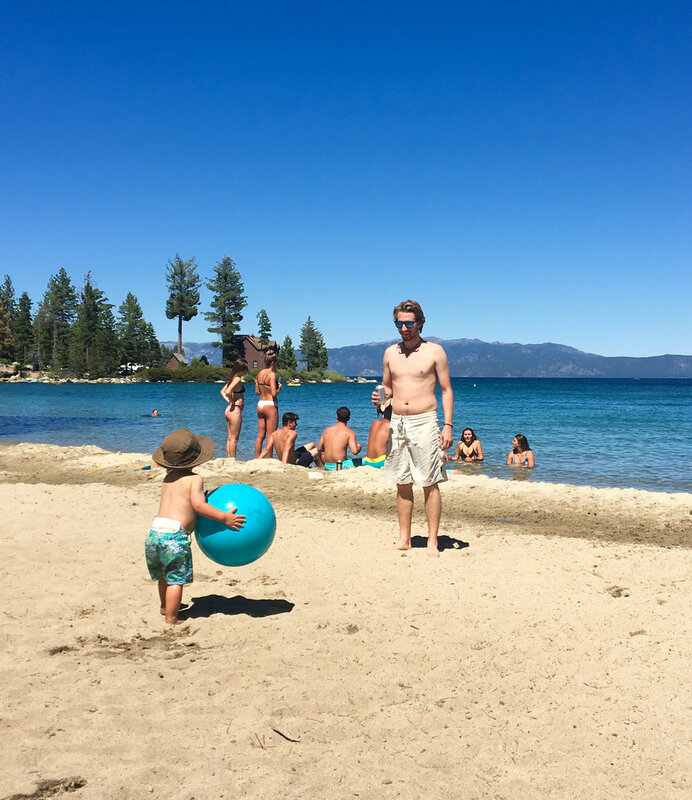 We recovered from the hike at Meeks Bay, a beautiful sandy beach on the west shore of Lake Tahoe. We were joined both on the hike and at the beach by Kay’s friend’s son Ronan. I think he enjoyed the beach even more than we did and certainly kept Derrick busy (which is a good thing since Derrick also can’t sit still). That night, we listened to some live music at the Bridgetender Restaurant, another local spot in Tahoe City. The outdoor patio rested on the shore of the Truckee river which is flowing at record high levels this year. The Sierras were inundated with snow this past winter, seeing over 650 inches of snow on Lake Tahoe and the surrounding resorts by mid-March. All this snow has melted into Lake Tahoe and the Truckee River, causing high water levels, flooding, and landslides due to the over saturated ground. The Bridgetender had a stat on their menu that said if you pour the water in Lake Tahoe over the state of California, it would cover the entire state with 14 inches of water. I wondered if it would be more like 20 inches after this season. Throughout our time in Tahoe, Derrick and I could not stop commenting on how clear and blue Lake Tahoe was. We’d seen the “Keep Tahoe Blue” stickers everywhere, but we didn’t understand how true that was until we saw it in person. Kay told us that there are a lot of regulations on what can and can’t go in/on the lake. It was apparent that keeping the lake pristine was a goal of both the locals and tourists alike. 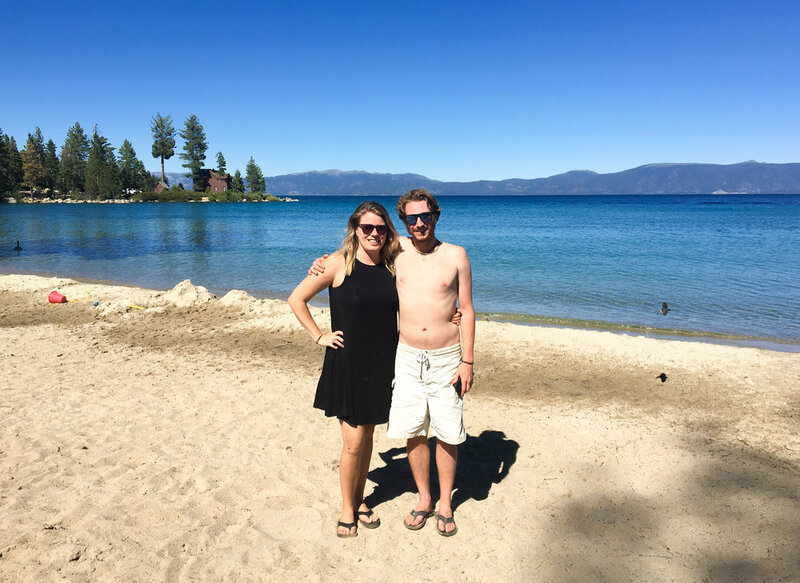 We spent our last day in Tahoe riding bikes along the Truckee River and around the downtown area of the west shore. Bikes are a great way to get around Tahoe as there seemed to be a lot of road construction around the lake. Our time in Tahoe quickly came to end and that afternoon, we had again packed up and begun the trek to Concord, CA. On our way out of Tahoe, we stopped at the beautiful, but crowded, Emerald Bay overlook. We would’ve loved to spend more time exploring the Emerald Bay beaches, but of course, that just means we’ll have to come back! The past few days of fast traveling have reminded us why we want to travel slow, but we’re so thankful for the blur of experiences we had while sprinting to the west coast. Our best advice for fast, short-term travel? Don’t even rest for a minute - you'll miss too much! ;).